Marian Luella Allen, 88, of Cumberland died Saturday, February 2, 2019 at her home. She was born May 18, 1930 in Tony, WI to Hugh and Gladys (Savage) Sprester. 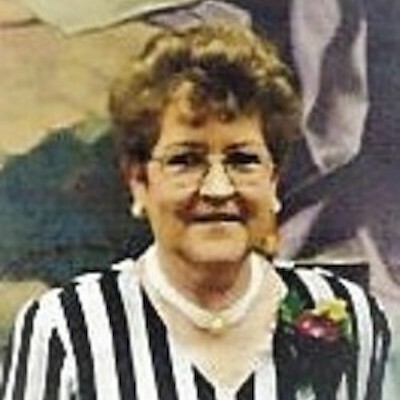 She was married in Cumberland, WI on February 5, 1949 to Frank Donald Allen who preceded her in death on July 26, 2006. Marian worked many years at the Cumberland Hospital as a CNA, where she later retired. The quality time she spent with family and friends while having coffee time, filled her heart. In between her visiting and smiling, Marian was a delight and always up to some shenanigans. 2 great-great grandchildren: Parker Sebens and Harper Orf; and many other family and friends. Preceded in death by her husband Frank "Bud"; sister, Ruth Kittler; and brother Earl Sprester. A funeral service will be held at 3 PM Thursday, February 7, 2019 at First United Methodist Church in Cumberland with Rev. Mike Brubaker officiating. Visitation will be one hour prior to the service at the church. Burial will be in Lakeside Cemetery. Pallbearers are Mickey Allen, Mark Allen, Jake Neurer, Matt Hauser, Mitch Sebens and Rick Sebens.